This is a 50-question sample Wonderlic Test and Wonderlic SLE Test. This test provides questions similar to that of the exams administered by many schools, universities, companies, and organizations across the country. You will have 12 minutes (720 seconds) to answer 50 questions. You score 1 point for each correct answer. Your time will start when you click the “Start Quiz” button. Good luck! In addition to our practice test above, you can find information on the Wonderlic SLE below that can help you prepare for your upcoming test. What exactly is the Wonderlic SLE? Who uses the Wonderlic SLE? What is the length of the Wonderlic SLE and SLE-Q? How does scoring work on the Wonderlic SLE? What questions make up the Wonderlic SLE? What is the average Wonderlic score for a nurse? Where do I take the Wonderlic SLE? How do I prepare for the Wonderlic SLE? For many years, researchers have well-known that the single best predictor of academic, as well as professional, success, boils down to cognitive ability. Simply put, the better you think, the better you are at completing tasks. The Wonderlic Scholastic-Level Exam (Wonderlic SLE) is used by specialty programs, universities, and trade schools to assess potential students’ abilities. Many nursing programs use the Wonderlic SLE as a type of entrance exam for nursing school. If you are faced with taking the Wonderlic SLE, you should definitely take as many practice Wonderlic Tests as possible to both get yourself used to the questions & pacing as well as mentally prepare for the actual Wonderlic SLE Test that you will face when applying for your education. There are multiple versions of the Wonderlic test. The SLE is used primarily by trade schools, colleges, high schools, and other educational organizations that are in need of an efficient way to assess a large group of applicants. The Wonderlic SLE is designed to help these academic groups predict how well their candidates will do in classes, the likelihood that they will default on student loans, the likelihood that they will go on to complete the program, and other predictions. The Wonderlic SLE is comprised of fifty (50) questions which must be answered in twelve (12) minutes or fewer. The Wonderlic SLE-Q is a less commonly used version of the SLE with the same questions, however it is comprised of thirty (30) questions which must be answered in eight (8) minutes or fewer. This means that you have exactly 14.4 seconds to answer each question on the Wonderlic SLE and 16 seconds to answer eqch question on the Wonderlic SLE-Q. Each question is worth one point and the goal is to answer as many questions correctly as possible. You do not have to answer all the questions and you can skip questions, but it is in your best interest to answer as many as possible–even using educated guesses if necessary–to potentially achieve the highest score possible. For example, if you answered 24 questions correctly out of 50, your official Wonderlic SLE score would be 24. The Wonderlic SLE Test questions focus on both mathematical and verbal abilities. The mathematical questions will require knowledge of basic math operations (addition, subtraction, multiplication, and division) and order of operations as well as fractions, conversions, time calculations, and money calculations. There is no algebra or more advanced mathematical concepts on the Wonderlic SLE however, many of the mathematically-based questions are word problems that must be deciphered before a correct answer can be realized. The verbal section of the Wonderlic SLE tests logic, word knowledge (are two words related or not), statement evaluation, and perceptiveness–namely, find the differences between two very similar lists. Except in the case where the test-taker must decide the relationship between two words, the test is written in plain and easy-to-understand language. What is the average Wonderlic SLE score for a nurse? Much like the average score of all test takers for an IQ test is designed to be 100, the Wonderlic is designed so that the average test score result will be 20. That may not seem very high, however it is important to remember that the questions on the test are not easy to answer and the test is timed in a way so that most people are not able to complete the test on time. Nurses on average score a 23 on the Wonderlic SLE. If you are practicing for an upcoming test, that is certainly a good number to aim for “passing” the test. This entirely depends on the type of Wonderlic SLE test that you are taking. If you are taking the normal Wonderlic SLE, this 50 question 12 minute test is a proctored test, meaning that someone must be around to monitor the test taker. It is taken with paper and pencil, so when the clock runs out someone must be around to ensure that the test taker does not continue to answer questions. 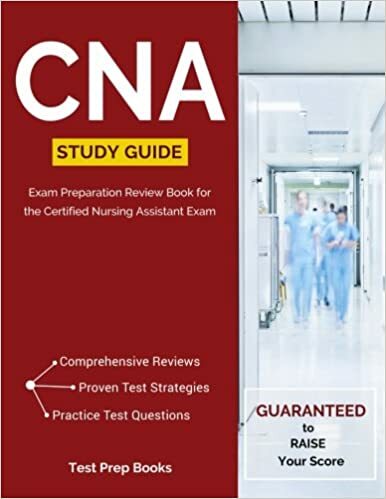 For this reason the tests is typically taken at the location of the test administrator, so your nursing school. If you are taking the Wonderlic SLE-Q, it is a 30 question test that must be completed in 8 minutes and is completed on a computer. It is designed to be taken anywhere, so you will likely want to take the test at home when you feel most comfortable and ready to do so. Wonderlic SLE: Paper and pencil, taken on-site. Wonderlic SLE-Q: Online, can be taken at home. The biggest reason why people do not do well on the Wonderlic SLE is because they run out of time. They spend too much time mulling over questions, particularly tough questions, and do not leave enough time to answer questions that they know the answers to. Remember – you only have about 14 seconds to answer each question, and very few people get a score over 35, or 70%, on the test. The best way to get used to the format of the test is by taking practice tests. You can use the one found above or take our other Wonderlic practice test. Make sure that you eat a solid meal before the test and get enough sleep. It goes without saying, but those are critical factors to ensure that you do well on the test. Most importantly, you can get used to the questions and structure of the test by answering practice questions. It is very important to either use a stopwatch while taking the test or take tests that are automatically timed. If you are interested in nursing school, it’s important to practice for the Wonderlic SLE Test. For that reason, we suggest you take our practice test above by clicking the “Start Test” button.